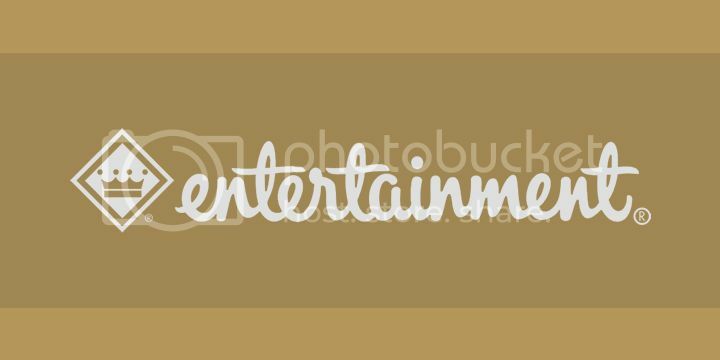 I was invited to OhGam recently. 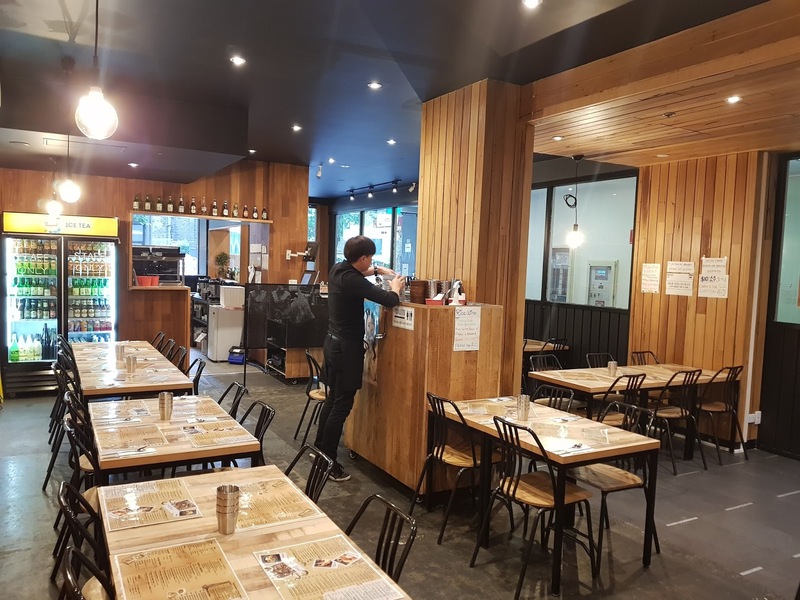 OhGam is located in Londsdale street just in the outskirt of Chinatown. The place is a bit hidden from the street, but inside, there’s a lot of space and quite bright and nice. 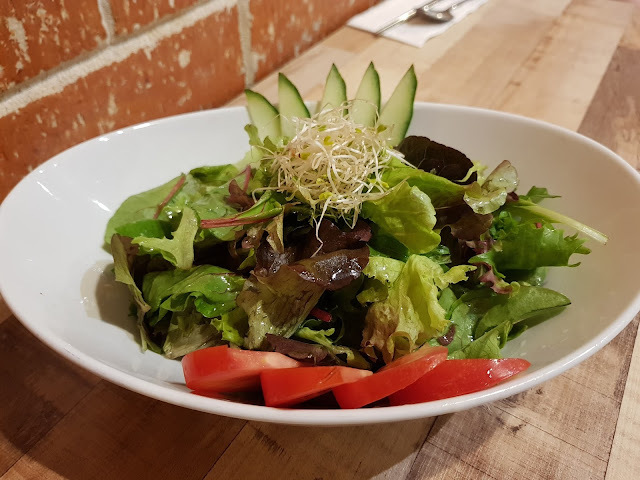 Green salad $6. Salad was ok, the vegetable is quite fresh. But nothing really special or outstanding about the salad. Still it's a good start. 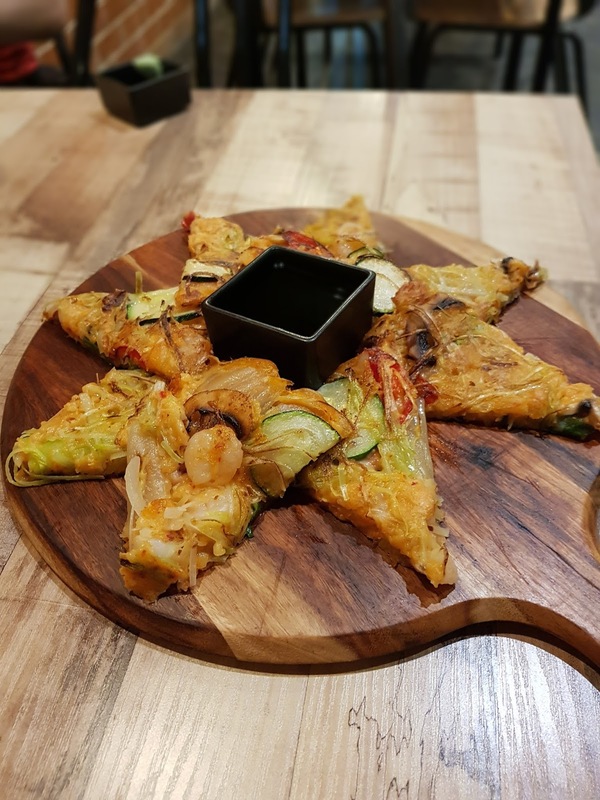 Seafood Kimchi Pancake $17. Loved the seafood pancake, it was tasty and crunchy combined with the sauce, it was perfect way to start your meal. Grilled Sashimi Set 1 (seared salmon and eel sashimi) $22. Definitely hero of the day! 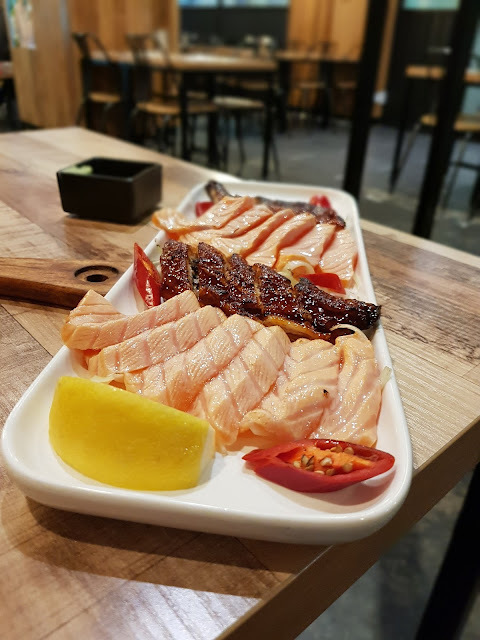 The seared salmon and eel sashimi were torched on the table, giving that smoky flavour that playing with your appetite. The salmon was fresh and nicely cut. But the eel was the star of the show, it was juicy and tender, tasted amazing, and smelt awesome. The portion was quite big and definitely a good value for money. Beef Bibimbab ($14). 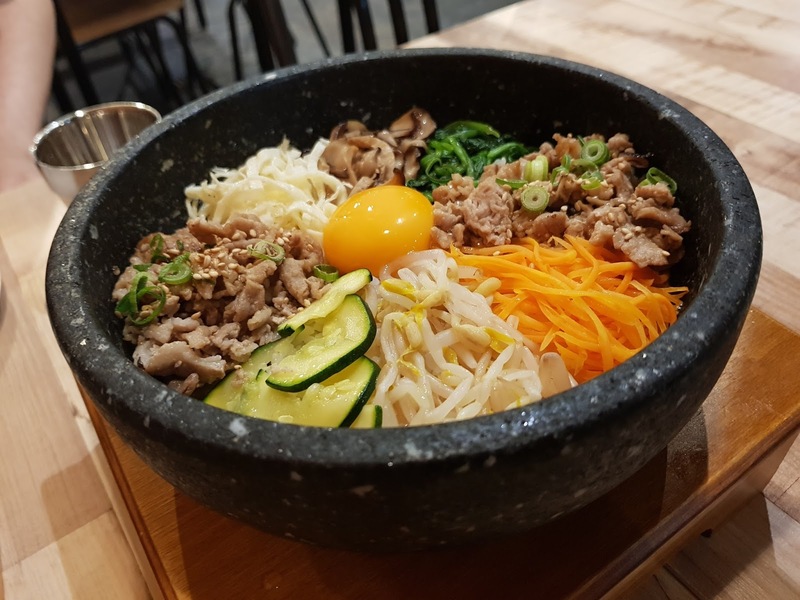 Bibimbab was served in a big bowl and it was nice way to eat. The sauce was sweet and a bit spicy, but perfect. There was enough beef in the bowl to compliment the rice and vegetables. Another awesome dish, bulgogi was seasoned perfectly and the pork was tender and juicy. On top of that, the portion is big, enough for 4 or 5 people to eat. 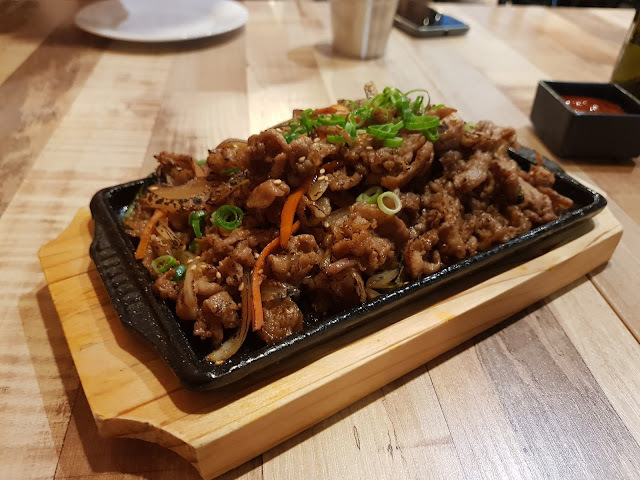 Overall, OhGam exceeds my expectation, the food is awesome, the place is nice, and it is definitely a good value for money.